Investment portfolio management is an important piece of wealth management. Our aim is to create diversified portfolios that earn favorable investment returns while reducing volatility and risk according to the parameters of each client’s chosen investment model. We work to achieve strong performance over multiple market cycles, relying on the application of a proven investment process that is consistently applied. We adhere to an investment philosophy that values both vision and discipline and favors a buy and hold investment approach. We do not believe that long-term goals can be met by chasing short-term results. Instead, we focus on the larger picture while remaining mindful of the current environment for our Baltimore and Washington metro area patrons as well as clients across the country. BWFA’s advisors evaluate a client’s financial goals, financial situation , income needs, tax circumstances, and investment risk tolerance. Based on these factors, we design, construct, and implement an investment portfolio appropriate to the client’s specific needs and goals. The portfolio we construct for the client conforms to the BWFA investment model chosen by the client in consultation with his/her BWFA Portfolio Manager/registered investment advisor. For example, a portfolio manager can avoid purchasing energy-related securities for a client that works for an oil company and already has significant investment exposure to that industry. We utilize a bottom-up, value-based, fundamental research approach. We endeavor to select those securities that we believe represent the most attractive opportunities for all Howard County and surrounding counties, even nationwide clients over the long term. Potential investment opportunities are identified utilizing a variety of sources and methods, such as research we perform on other investments (that leads us to consider competitors, related industries, etc. ), our investment and economic outlook, and quantitative assessment (based on fundamental factors, such as earnings, cash flow, margin analysis, balance sheet strength, etc.). We may also seek companies that we believe are well-positioned to benefit from our long-term investment outlook. From time-to-time, we may also perform screens emphasizing characteristics of well-managed, attractively valued and financially strong companies. Our Investment Committee has significant knowledge and extensive industry experience. Our team of Portfolio Managers work as a team with the Chief Investment Officer in a collaborative approach. Our dedication and commitment over the years has navigated difficult markets with steadiness and skill. Our professionals carefully consider and evaluate proposed investments, including equity investments for their potential for capital appreciation and dividend return while minimizing risk. Our Portfolio Managers provide ongoing oversight and management of our clients’ investments in accordance with the Investment Committee’s analysis of current economic and market conditions. BWFA’s portfolio managers make changes in a client’s portfolio only when they believe the changes will benefit the client. Because BWFA receives no compensation for making trades, advisors can act in the best interests of their clients’ portfolio management. BWFA offers different investment models in order to meet the needs and goals of individual clients. These include Capital Appreciation, Conservative Growth, Growth and Income. Whether you’re planning for retirement or trying to minimize your taxes, your investment management advisor will discuss the best course of action for your investments. 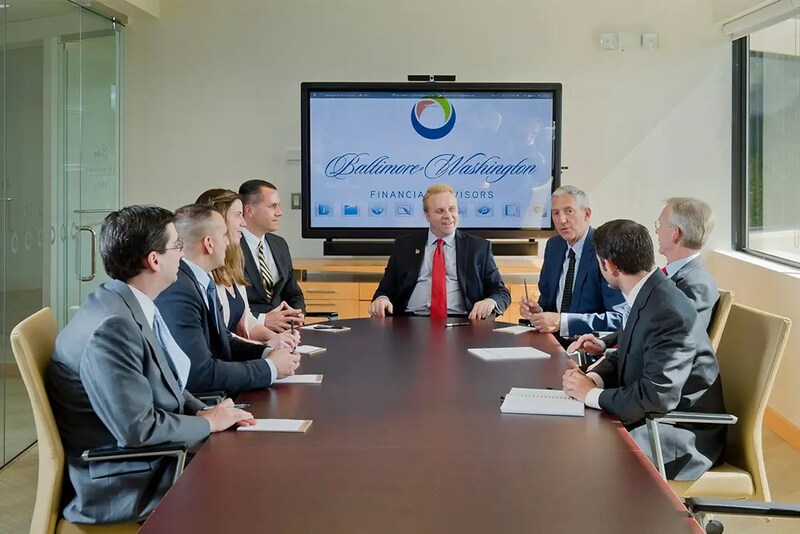 If you’re in Anne Arundel County, Carroll County, Clarksville, Ellicott City, the surrounding areas, or even halfway across the country, BWFA can help. To speak with a registered investment advisor, give BWFA a call or emailus@bwfa.com to get started on the path to investment intelligence today. Additionally, we offer seminars and workshops to aid in financial and retirement planning.